T.E.N. Announces 2017 ISE® North America Award Winners | Company Newsroom of T.E.N. Executives and Projects from Aetna, Comcast, Emory University, JP Morgan Chase & Co., Tractor Supply Company, San Bernardino County Superintendent of Schools and Zuora take home awards. 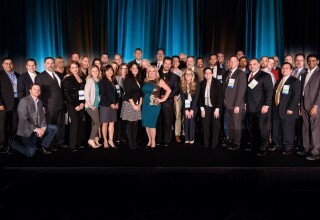 CHICAGO, November 16, 2017	(Newswire.com) - T.E.N., a technology and information security executive networking and relationship-marketing firm, honored finalists and winners Wednesday evening at the 2017 ISE® North America Leadership Summit and Awards Gala at the Marriott Marquis Chicago in Chicago, Illinois. 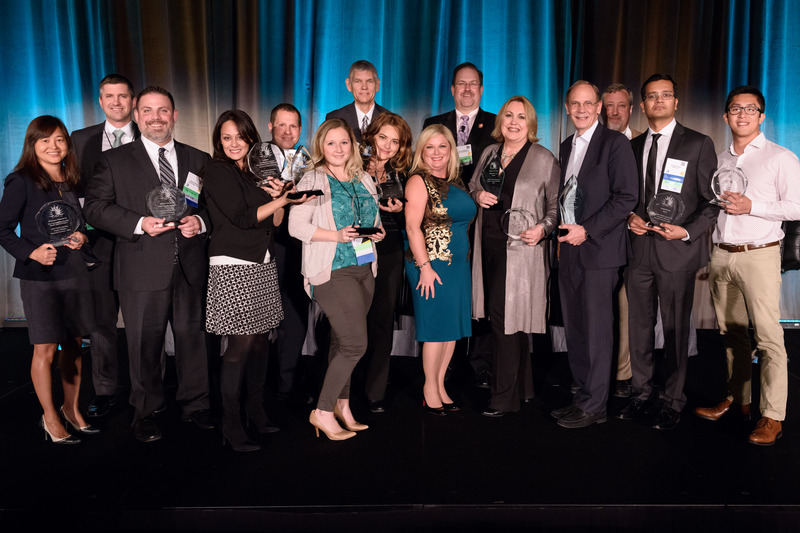 The ISE® North America awards recognize both information security executives and project teams for outstanding achievements in risk management, data asset protection, compliance, privacy and network security. Award program participants are located across the U.S. and Canada, and nominations were considered within four categories based on industry classification, including Academic/Public Sector, Commercial, Financial Services and Health Care. David Evans, Systems Security & Research Officer for San Bernardino County Superintendent of Schools was named the Information Security Executive® of the Year Award winner in the Academic/Public Sector Category. Evans has an extensive career in the public sector, but his impact in public education has been the most extensive — more than 33 years serving with the San Bernardino County Superintendent of Schools. From 1971-79, he worked as a government contractor in data analysis and programming. When the advent of the Internet and Microsoft exploded, Evans was there to guide County Schools and assist the 33 school districts — more than 540 schools with 18,000 teachers and 406,000 students who attend K-12 public schools in the county. The “Duo Two Factor Authentication Project,” submitted by Emory University, was selected as the ISE® North America Project of the Year in the Academic/Public Sector Category. This project was an aggressive effort to deploy two factor authentication to the entire Emory user community consisting of nearly 80,000 faculty, staff, students, and affiliated users, and to require the use two factor authentication for access to multiple enterprise-class applications including VPN, Office 365, PeopleSoft Student, PeopleSoft HR, PeopleSoft Finance, Citrix Virtual Desktop, and Emory’s Shibboleth web single sign-on solution. 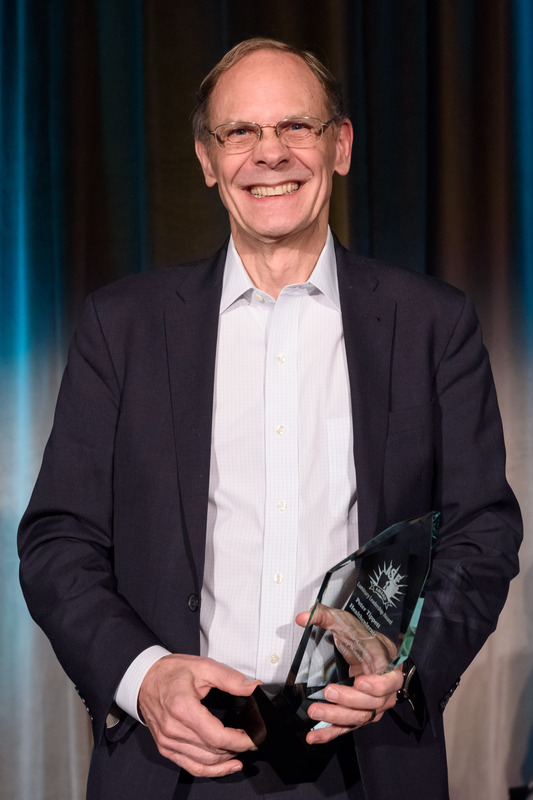 Michael Mangold, Vice President – Information Security for Tractor Supply Company, was selected as the Information Security Executive® of the Year Award winner in the Commercial Category. Mangold is responsible for Information Security & Governance, Compliance, Risk Management, Disaster Recovery and Business Continuity for Tractor Supply’s 1600 stores, distribution centers and corporate facilities. This includes responsibility for the safety and integrity of customer and Team Member information. He has been instrumental in the transformation of Information Security at Tractor Supply. Under his leadership, we have moved from a tactical, compliance-focused organization to strategic and risk-focused. He has changed the structure of the IS Team from a small group of “security” Team Members to an organization with clear responsibilities, strategically aligned objectives and individual career paths. The ISE® North America Project of the Year in the Commercial Category was Comcast’s “Cyber Value at Risk” program, executed using Bay Dynamics’ Risk Fabric platform. This project enables the company to continuously protect its most valued assets (data, systems and applications) by quantifying the impact of cyber risk based on actual threat and vulnerability data in the environment, and then prioritizing mitigation actions based on those activities that directly address the established risks. The platform automatically delivers relevant threat and vulnerability information to an array of stakeholders responsible for the involved mitigation and continuously measures how much risk is being reduced due to the actions taken. Importantly, Risk Fabric better enables the security team to direct their fixed resources at the most important, and potentially costly, exposures. Pritesh Parekh, VP and CSO for Zuora, was selected as the Information Security Executive® of the Year Award Winner in the Financial Services Category. Pritesh joined Zuora in 2013, with 18 years of experience in building and managing enterprise security programs, the last 12 years of which were spent leading security for Cloud platforms. Prior to joining Zuora, Pritesh led the worldwide Security and Compliance for ServiceNow. He has extensive experience in Cloud Security, IoT Security, Application Security, Compliance, Data Protection, Fraud Protection, Security Architecture and Risk Management for Financial Institutions, SaaS & Cloud Providers. He is an active speaker within the security industry and a contributor to such publications as Dark Reading, Security Current, and CSO Online. JPMorgan Chase’s project, “The Vulnerability Scoring Model (VxSx) Project” was selected as the ISE® North America Project of the Year in the Financial Services Category. As hardware and software vulnerabilities are discovered, firms have traditionally prioritized remediation efforts based solely on the criticality rating of the vulnerability. In a complex enterprise environment such as JPMorgan Chase, this approach falls short as it fails to consider business context of the targeted assets. The Vulnerability Scoring Model combines the criticality of the vulnerability (Vx) within the context of business impact at JPMorgan Chase (Sx) to quantify risk and set an informed, targeted remediation path. 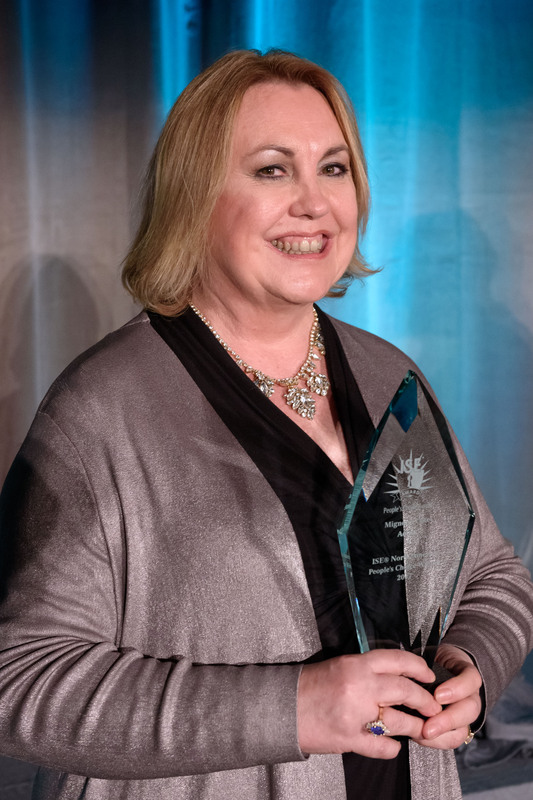 Mignona Cote, CISO PayFlex; CISO Phoenix Data Services; SR Director Information Security for Aetna, was selected as the Information Security Executive® of the Year Award winner in the Health Care Category. Cote leads the Enterprise Risk and Compliance program at Aetna, where she is responsible for Security Awareness and training, as well as Policy Management. As the IT Compliance Officer, she also manages compliance risk and response to both industry and government inquiries. Aetna’s “Distributed Controls: Managing Security Differently Across 15 Organizations” was selected as the ISE® North America Project of the Year in the Health Care Category. As daunting as securing a Fortune 50 company, adding fourteen independently operated affiliates (subsidiaries) to the mix, stretches leadership and innovation. Resiliency to market demands, continuous change in threats and fourteen completely different companies ranging from financial services, international markets and consumer healthcare forces the Global Security Officer to manage fourteen security programs uniquely while leveraging core Aetna techniques and solutions. At Aetna, a model was developed to identify risks, measure maturity and implement solutions maintaining the unique DNA of each company while assuring the security as they operate within the boutique styles required for competitive advantage and speed to market. 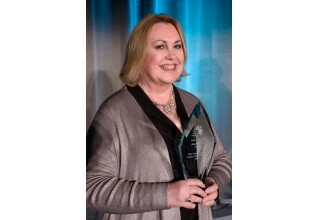 Mignona Cote, CISO PayFlex; CISO Phoenix Data Services; SR Director Information Security for Aetna, was also named the ISE® North America People’s Choice Award Winner. This award represents the nominee who best exemplifies information security leadership as voted on by peers in information security. Also honored during Wednesday’s awards program was the 2017 Luminary Leadership Award winner Peter Tippett, Founder & CEO for Healthcelerate. 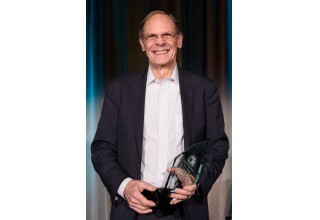 Presented annually, the award celebrates the achievements of an outstanding leader and industry practitioner for his or her distinguished service, stewardship and contributions in advancing the information security industry. Our distinguished ISE® Judges are past nominees representing a cross-section of industries, including commercial, government, health care and academic sectors. 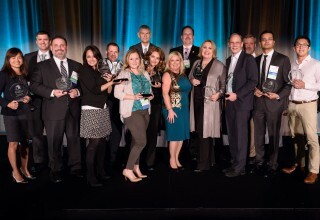 For this reason, the ISE® Awards represent the best achievements of the year as evaluated by those regarded as the industry’s most influential and successful thought leaders. 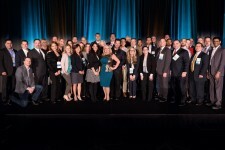 Coupled with a one- or two-day executive summit, the ISE® Awards are held across the country and Canada in major cities including Atlanta, Chicago, Dallas, New York and San Francisco. 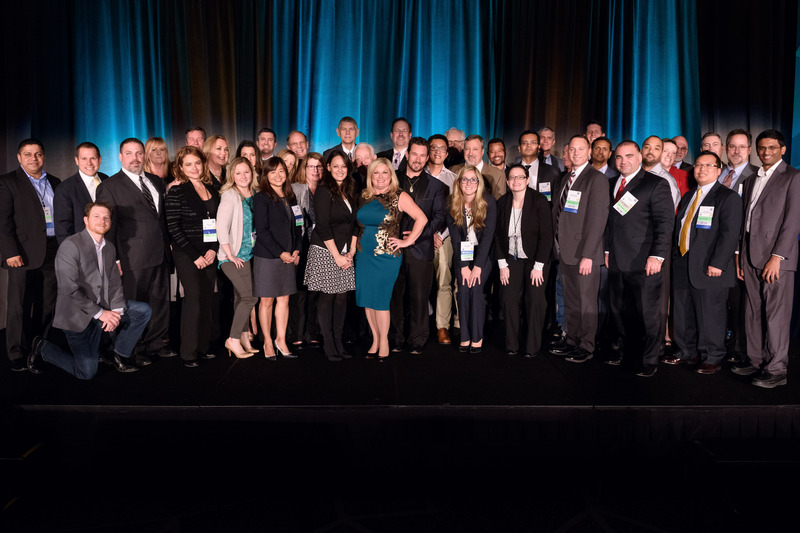 The ISE® Awards Program Series has reached more than 10,000 executives across a broad range of industries and has been a major influence in executives' careers, knowledge sharing, and the development of peer-to-peer relationships.